Increasing profit – without increasing sales, revenue or even leads – is very different to increasing revenue. There’s a different MINDSET that is required to increase profit. Think “Profit MARGIN”, which is the percentage of profit a business has. To increase the profit margin of a business the revenue doesn’t need to increase, and in fact it can decrease and the business is better off afterwards. Are you a bit challenged by that statement? The key to remember is, profit is what pays expenses, not revenue because if a business has $1,000,000 revenue but $1,000,000 in costs and expenses then there is no net profit left to pay anything. Increasing net profit (margin), without increasing leads and customers may sound hard to do, but it’s a LOT easier to increase net profit than it is revenue. The first Principle of Profit is – you can increase revenue by DUPLICATION but to increase net profit margin requires more INNOVATION. If a business simply does more marketing of the same kind, then revenue can increase – through duplication. To increase net profit MARGIN requires innovative (new) thinking and actions. The blue bucket size is like the revenue whereas the gold bucket size is like the net profit. The proportion of sizes is like the net profit margin. In this picture, would you consider putting more water into the top of the bucket as a means to increase the ‘overflow’ into the net profit bucket? Or would you think about plugging the “leaks” to produce more water/overflow into the profit bucket? This image is a good example of how much easier it is (in real life) to increase profit margins, without giving any time or money to increase leads and sales. 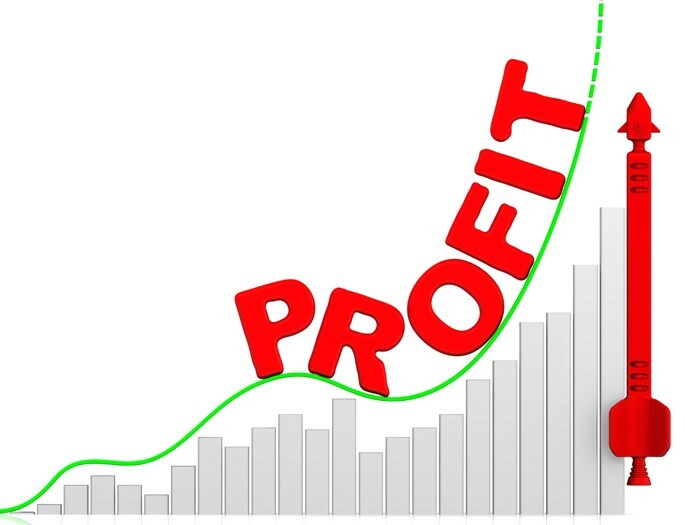 Increasing revenue is a great goal to increase the volume of profit, however EVERY business can increase net profit margins, because very business has numerous profit leaks, or ‘untapped’ profit opportunities. With a lot of discussions with the owners (during the Academy of Business Mastery course) it was seen they didn’t have a clear VISION of where they wanted to take their business, and what level of growth it would have in two to five years. The profit margins were low (and were negative the financial year previously). The business had experienced a downsize of over one one million in revenue and the owner (husband) was currently working 60 hours a week. A lot of businesses regularly struggle with cash flow and this one was one of them. The low (under 10%) net profit margin was a major factor in the low cash reserves situation. Having clarity of the future of your business is super important. “Vision” is what that is called and it’s all too easy to work hard and focus on today and just ‘getting through work’ to think about tomorrow, next month and next year. ‘Building your vision’ – as it’s called in the Academy – is absolutely essential to become more successful in business (and life). Psychological research shows that positive thinking about the future inspires people and inspiration creates optimism and that leads to ‘seeing’ opportunities in your mind that are always present, to improve your business. With the owners of the air conditioning business, the ‘building your vision’ step certainly helped with obtaining a more positive outlook towards their business, and what it could look like in two to five years (the best time frame to build a vision for). In your business, do you have a very clear vision of the future? The business owner clients were definitely more inspired after writing in their workbooks what their vision for their business and life could be. They found putting it in writing made them more confident about it being realistic and achievable. The second Principle of Profit is ‘happy people are more productive’. It’s a common saying, and business owners agree however a strategy needs to be applied to make it beneficial. Are you absolutely happy with your life and business right now? Probably less than 1% would answer with “yes” to that question! You’re not alone, and your employees feel exactly the same. A powerful way to achieve that is to build better “connections” with each other. Every person would like more of these experiences, and especially employees in their job. A simple, super effective way to fulfill these basic human needs is to introduce a strategy called “running team meetings”. A team meeting is about creating a ‘team’ environment. It’s not a “lecture” from the boss meeting. The difference between a team meeting and a lecture is… every single employee in the business gets a turn to speak! Sit in a circle and have everyone state how they could do their job better. You need to start it, by first of all defining what your job is! In case you aren’t clear, your job is to help your employees to do their job better. To be there to explain how to do things (not assume they know), by ‘checking in’ on them while they are working, to see if you can provide a greater depth of understanding and to recognise them, appreciate them and thank them. By sitting in a circle every week and having this discussion your employees will definitely start to become happier. It may take a while (and there are a LOT more details on exactly how to run team meetings than space allows here), but this strategy is super effective over time. 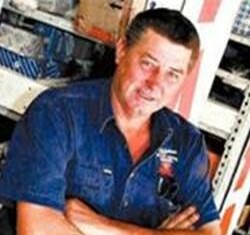 A mechanic repair shop owner in Queensland carried out a team meeting after learning about them (in the Academy), and saw his employee’s productivity increase by 50% in just one week from this one strategy. To produce 50% more work (for the same wages paid) is an increase in net profit of 50%. You’d be surprised how many business owners have reported back very positive, profit increasing outcomes from running team meetings, from ideas employees had, to reduction of mistakes and rework, to less sick days etc. – all of these benefits are common from applying this strategy. The air conditioning business owners applied it (with some hesitation, which is normal) and saw the difference it made. The employees became happier, took more “ownership” of their role and worked better with less downtime. Are you going to run one? Why don’t you and see how it goes? The reason why it is called the “magic” of measuring is for a very good reason. In business the biggest expense is not employees, it’s something completely different and completely overlooked. 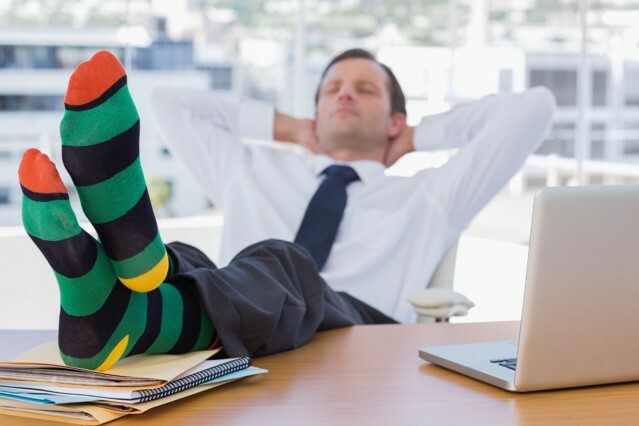 Are you assuming every employee is 100% happy working for you (if you have employees)? Are you assuming your website is effective and fully optimized to ‘warm people up to buy‘? Are you assuming you’re making profit on every single service/job your business carries out for clients? There are literally DOZENS of assumptions we all make as business owners, and the only effective way to find them is to measure – everything! While the air conditioner client was measuring a lot of figures related to jobs (using SimPro), they didn’t have it configured properly. Nor were they tracking every leads to its source to find out what was working (to do more of it) and what wasn’t (to stop wasting time/money on it). Measuring reveals FACTS that can turn into actions to improve the business. Remember the blue bucket and the ‘profit leaks’? EVERY business has LOADS of profit leaks! That list is a great start to measuring to accurately identify assumptions. EVERY business that has implemented the Academy measuring tools, or their own (modified to our specs) measuring systems – to measure all of these – has identified significant “profit leaks” and “profit opportunities”. Some businesses have increased net profit by $498,000 inside a year, just by making important changes after measuring. Finding a problem is more important than not even knowing you have a problem. It’s the start of improvement. Yes it’s hard to find time to set in place ways or tools to measure all of these when you’re busy, but have you noticed – busyness never ends. Making time because progress is a priority to you, to measure, is how you increase profit margins. Higher profit margins provide more cash in the bank and cash is needed to pay for an extra person in your business. If you hired one extra person in your business right now, would that free up a lot of your time? The best, permanent solution to a lack of time is to increase your business’ net profit margin, and measuring is one of the best starting points to increase the net profit margin. Business growth planning is very different to ‘business planning’. Business growth planing is all about growing your business whereas business planning is about gathering facts and data from research, but less thought is given to actually growing the business. The air conditioning business clients took part in a business growth planning process whereby strategy “Types” were identified to consider, before choosing specific strategies. The strategy type is where the air conditioning business owners (and all business owners) needed to start. Most business owners focus on lead generation as a primary strategy to grow their business as they can outsource the management of it, saving them time. However as net profit margins are far more beneficial to increase to produce more profit and cash in the bank, for the air conditioning client it was better not to consider Lead Generation as the priority to grow their business (because they wanted higher profit margins and cash in the bank). A better, far more productive (and innovative) strategy ‘type’ for their business was Measuring. While they knew the gross margin on individual jobs, they didn’t know the types of work/jobs that produced the highest and lowest gross margin averages, and these are critical to know in every service business. The Pareto Principle of Profit applies to most service businesses. The principle applies is the 80:20 Rule that states 80% of what a business produces isn’t that profitable, but 20% is. Or, a business can generally make as much profit in one day as it can in the other four days in the week. The Pareto Principle is exactly why all service businesses need to track gross margins by the “Type” of work they provide. When the lower gross margin services are identified, by collating all jobs for a week and month and averaging all the margins, this shows where price rises are needed. Those job “types” with a higher average gross margin need to be focused on with all marketing, to increase the volume in revenue. There are many different sales and marketing strategies to increase volumes of sales of a specific service. When you price rise (5% to 10% is recommended) on low gross margin service work, to raise the average, and increase the volume of the higher gross margin service work – the whole average gross and net profit margin can easily (and rapidly) increase by 5% to 15% in one to three months! In the air conditioning business, this process was introduced of tracking all gross margins (with labour included) on every job for different ‘types’ of jobs. Their business provided domestic air conditioning and commercial. They provided split-systems, and ducted systems, so that identifies four different ‘types’ of jobs straight away. Others were identified as well (with an in-depth discussion), and the ‘types’ can become a very significant competitive advantage in a business! This area right here is where the air conditioning business owners ‘found’ the way to increase their business’ net profit and margins. It was easily seen that some ‘types’ of jobs just weren’t profitable, so a price rise had to be put in place, even if it meant losing sales as no one wants to do work at a loss, which they were on some jobs. The owners focused on winning more higher gross margin jobs too for a couple of months. That’s all it took, just a slight change of focus on better measuring to identify ‘assumptions’ around what gross margins they were actually producing. The other good news for the air conditioning business owners was that while they were focusing on INNOVATION with strategies like team meetings and measuring, their sales were organically increasing (due to hot weather – their peak time of the year). With the higher gross margins, more cash was in the bank and that allowed the business to hire more employees, freeing up the owners time. The husband’s hours reduced from 60 down to 45 with three extra employees hired and working. Isn’t the aim of owning a business, to reduce hours of your own work, by hiring employees? And not to get busier with more employees? Another step in the Academy is to talk about leveraging time. If your business has over $1.5 Million in revenue, why are you still very busy? A mindset of leveraging your time is important as your business grows. If you’re time poor and super busy and have over 10 employees, you’re not leveraging your time through your people well enough. Having your finger on the pulse of your business, by measuring all areas of your business and making decisions based on facts has to be one of the highest priorities there is for a busienss owner. When the owner is super busy, who’s growing the business? No one else is going to grow a business for you so it’s important to keep your time free, by leveraging it through other people. That’s what the owners of the air conditioning business learned in the Academy. They had a change of mindset, to put a lot more emphasis on measuring to find profit leaks and opportunities to increase margins. Increasing the net profit margin is the shortcut to the fast track to success in business. With the foundations of Profit Principles in place a business is ready to ‘scale’ by MILLIONS a year, while the owner works less every year. How does that sounds to you? Is that part of your VISION? Download a free copy of Tim’s LEVERAGE which goes into loads more details about increasing net profit and margins. Very True! I also think your business sense will keep you in business and protect you from getting ripped off. It requires you to know the true cost of your supplies, so that you do not pay more than you have to. This is about you knowing where shop, what licenses you need so that you are legal and how to do things the right way.